You are bound to fall in love with the flattering neckline of women's double mock wrap top by Adar. 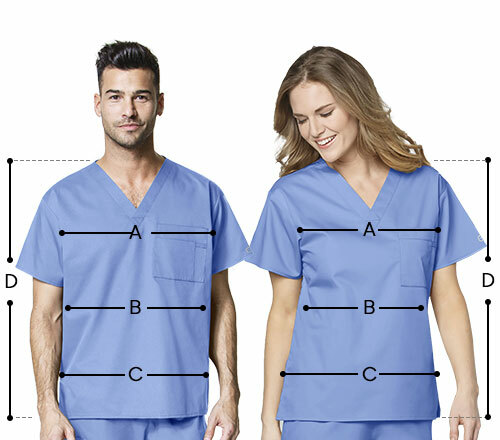 With short set-in sleeves and vented sides, the garment with the tagless neck ensures ease of wear and convenience in mobility. The back waist drawstring with adjustable tie closure with back shaping darts delivers a relaxed fit and pleasant feel adopting an attractive feminine shaping. 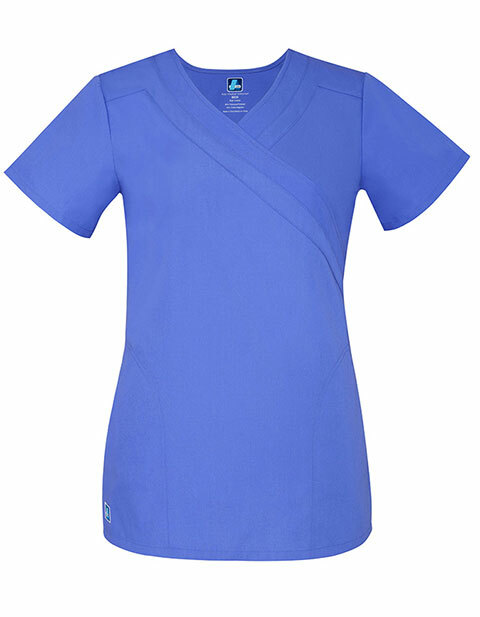 The two side slit pockets with contoured seaming ensure ample safe storage space for your nursing essentials.